A Black Kite waits for his prey at Assam State Zoo in Guwahati in a winter morning. The Black Kite (Milvus migrans) is a medium-sized bird of prey in the family Accipitridae, which also includes many other diurnal raptors. Unlike others of the group, they are opportunistic hunters and are more likely to scavenge. They spend a lot of time soaring and gliding in thermals in search of food. Their angled wing and distinctive forked tail make them easy to identify. 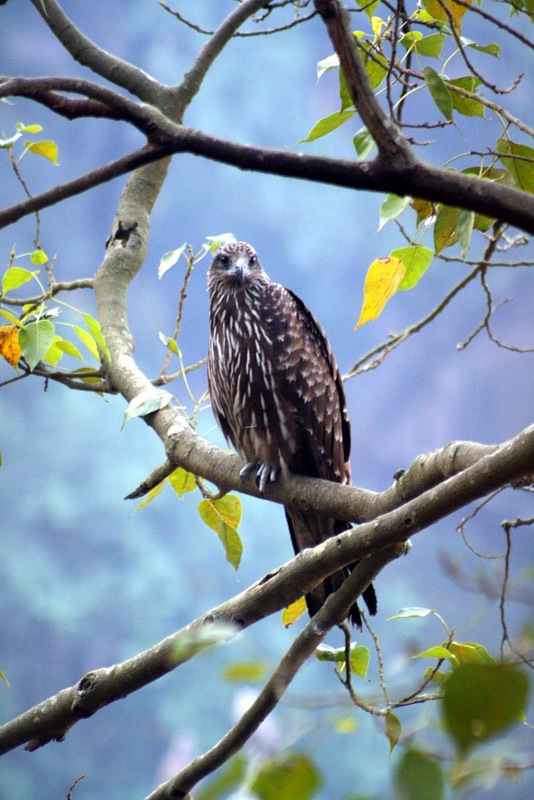 This kite is widely distributed through the temperate and tropical parts of Eurasia and parts of Australasia and Oceania, with the temperate region populations tending to be migratory. Several subspecies are recognized and formerly with their own English names. The European populations are small, but the South Asian population is very large.